AMTECH offers Investment Casting SS 304(CF 8) and SS 316(Cf8M) strainers for all industrial and domestic filter applications. Body of strainer is one pc design casting, strainer element is SS 304 or SS 316 with suitable mesh strainer element. 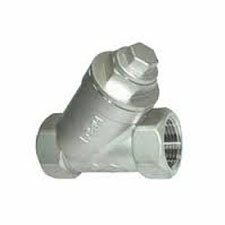 End connections as per customer requirements like Bsp-F, Npt-F end.